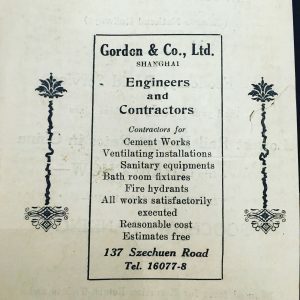 Need some construction, call 16077? Shanghai development was fueled by real-estate and construction. Just like in every big city, people moved house, bought and sold properties and remodeled them. There was also maintenance work, as well as upgrade to be done. 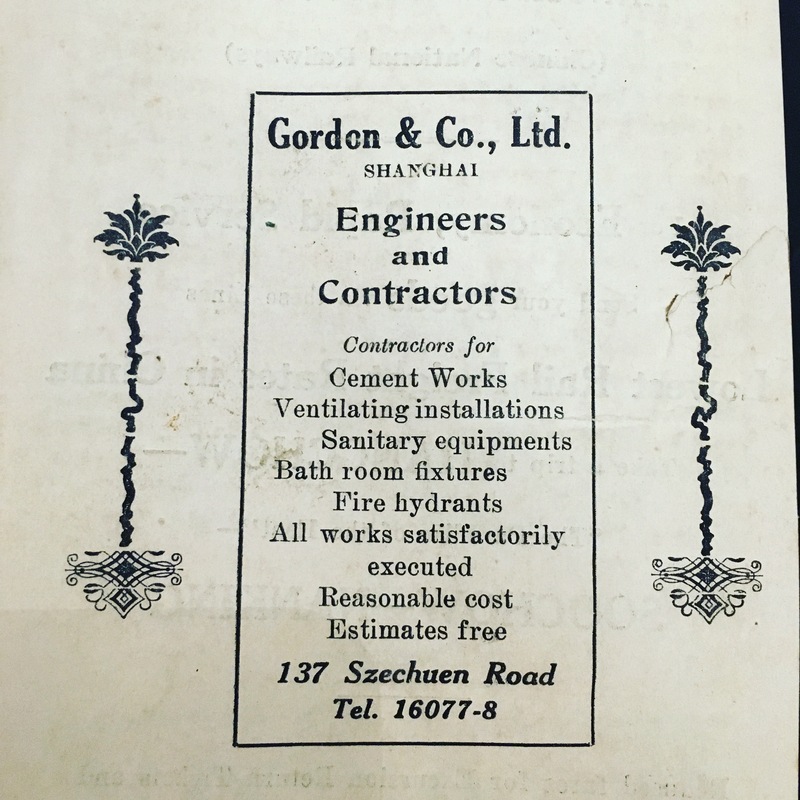 I recently noticed this ad in a 1937 Shanghai publication. I particularly like the “All works satisfactorily executed”. The company was surely a foreign one, located behind the Bund, on today’s Sichuan Middle Road, close to Fuzhou Lu. In such a central location, it must have been involved in building or maintaining the buildings of the business district of the International Settlement, though I did not find more information about. I tried to call 16077, but sadly this number does not exist anymore.